My family and I are venturing out to the Texas State Fair this evening. 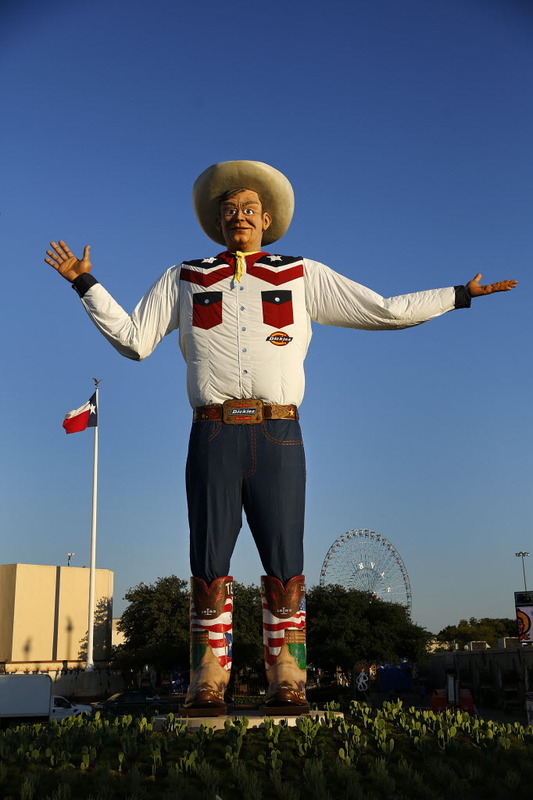 With Big Tex, big rides, big food, and even bigger crowds, it’s outfitted with all the makings of your typical American fair (and some over-the-top Texas extras). This morning I got to thinking about the silly games on the midway. It’s hard to see the actual games for all the prizes hanging overhead…neon pink monkeys that Dad will have to lug around, inflated crayons that spring a leak before you make it home, or rubber balls that get lost in the sea of people and have you praying people don’t start tumbling in front of you like bowling pins. The average adult fair goer knows the games are pretty much rigged. Chances are good that you’ll walk away a dollar poorer (at least) with nothing to show for it but a few laughs. Don’t get me wrong. The laughs are worth something. If you’re lucky like me, you’ll get to witness the joy on your daughter’s face when she makes even ONE ping pong ball into a small fish bowl. But, truth be told, these games are a lesson in investment choices. Life, much like the fair offering these games, presents us with choices every day as to where we’re going to make investments. How will we spend our time? Our money? Our skills? Though we’re all friends here, it’s hard to admit that I struggle with self-discipline. When I don’t know which way to look amidst all the sounds and lights, I shut my eyes and wait for it all to pass. Except that when we wait for life to pass us by the danger is that it WILL. We risk missing out on opportunities to use our skills, grow our ideas, bless others, and see God. Right now, my life involves agreeing to the the leader of my daughter’s Daisy Troop, needing to prepare my book proposal, volunteering at the school, obtaining a new accreditation at work, etc. I’ve not completed more than one consecutive morning walks or devotions in months. I have calls from friends I’ve not returned in weeks. We’ve averaged more meals out than usual. Not that my commitments aren’t important. The Daisy Troop will provide countless great things for the girls. The book proposal will hopefully one day lead to getting my book’s hopeful message to readers. But I’ve chosen not to invest in daily reflection on God’s word. I’ve not invested in my own health, and can feel the effects in too-tight clothing and fatigue. I am closing my eyes to the needs of my friends, simply hoping they’ll understand when it’s convenient for me to call. I have no answers for this metaphor of life on the midway. Maybe you do? But I do know that I want to invest in the things that matter most. I heard someone recite a 12-step program principle. “When this year’s sobriety is too daunting to consider, worry about this month’s. When this month’s sobriety (task/goal/fear/hope) is too daunting to consider, worry about today’s. When today’s sobriety is too daunting, worry about this hour’s, then this minute’s. You can do anything for one minute.” Brilliant. Today, I’m praying that through the many noises and bright lights of life calling out to you for your attention, you seek God’s guidance to choose the things that offer the biggest return. I know, I hope to. One day at a time. One minute at a time. I guess my metaphor for life has been sharpened by circumstance, and is aligned with the most unlikely VERY strongly Christian movie I’ve ever seen…the laterst of the Rambo films, titled simply “Rambo”. Barring a miracle, I’m not going to make it through this. The last 48 hours have made that abundantly clear. I lost more ground between Saturday morning and now than I had in the previous couple of months. But I can still do something; I can still work in hope, I can still be compassionate and caring to my dogs (of whom a number have the runs, possibly from worry over me), I can still love my wife, and I can still write, and tell whoever cares to listen that life can still be worthwhile, even here. Pain can rule you, and fear is a reality. The Scriptural “Fear Not” message doesn’t work in this country. You simply can’t fear not…well, atleast I can’t, and speaking bluntly (and this will sound arrogant, sorry) I’m the toughest person I know. And I am terrified. But it’s not paralyzing me, and that is my moment-to-moment victory. And what it means, what I can do is add to the positive energy of the communities of which I’m a part. There isn’t a panacea, there isn’t relief, but there is continuity, and responsibility, and community. And there’s duty. I’ll keep doing my best to do mine. Sorry for the long comment, Teresa. Thank you, Andrew for sharing your heart and life with us here. Thank goodness God meets us where we are.